If you use the Spanish Public Health Service then you’ll be aware that major changes have already been implemented by the Government in Spain regarding the financing of medicines and more is to come. First of all the co-payment system was introduced on 1 July 2012 and from September this year there will be over 400 medicines that will no longer be included by the Health Ministry as eligible for reduction when prescribed by a doctor. All prescriptions issued by doctors have a code from 001 to 006 which indicates your level of earnings and, therefore, the percentage you have to pay (based on your latest tax return). Make sure you check with your chemist how much you are paying, just in case the information is incorrect. There are also special conditions for pensioners earning under 18,000€ (pay 10% of cost, maximum 8€/month), the unemployed and people on low incomes. The Basque Country does not currently apply the co-payment system and there is a case pending at the Constitutional Court. At the moment there is no system in place to indicate to the chemist dispensing the medicines when the monthly limits are reached, which means that the consumer will have to pay and then wait for reimbursement. 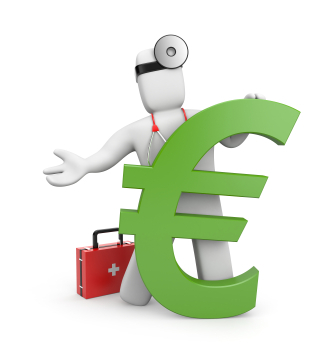 Many regions have stated that they will only reimburse twice a year and in some cases only when a minimum threshold for reimbursement has been reach (this could be around 7€), if the minimum level isn’t reached then the amount will be passed to the next reimbursement period. Castilla y León will introduce an electronic system from 2013 in order to avoid reimbursements which, we presume, will be taken up by other regions. From next month consumers will also see expenditure increase on medicines as many are removed from the list of those eligible for part-financing. The majority of the medicines no longer part-financed by the Spanish state include those for “minor ailments” such as cough medicines, psoriasis & dermatitis creams, constipation treatments, heartburn relief… up to a total of more than 400 items. However, patients with certain chronic illnesses may still be able to get their prescriptions at reduced rates. (See full list of medicines excluded from September 2012). Some consumer groups are worried that this will mean that prices for these items will increase as, theoretically, if they are no longer part-financed by the state then prices cannot be controlled in the free market. However, the latest news from the Health Ministry is that prices should not be affected. Added to these costs, in Spain there is already a commonly termed “healthcare tax” added on to a litre of petrol / diesel of 2.4 cents, to which different regions can add up to 4.8 cents (see amounts across Spain on this map). The idea is that this tax is supposed to be used to finance each region’s Healthcare System. It’s difficult to save on medicines, however you might want to check out Chemist Direct to see if it could be worthwhile stocking up before winter coughs and colds start.